Count'em... Five Pickups! This guitar is not for the-faint-of-heart. 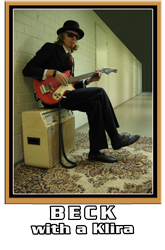 Klira was a guitar company settled in Buebenruth, West Germany in the 1950's around the same time as Framus started their business and was located around the corner from the legendary Hofner plant. 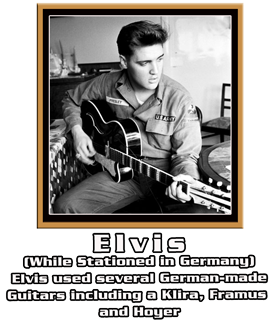 Most Klira guitars & products were exported outside of West Germany. 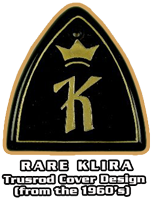 Klira always had the reputation of producing very high quality handmade instruments. So, this Klira "Sioux" guitar is no exception. This guitar has survived for the last 40 plus years... which also says something about the amazing craftsmanship from this little known guitar company which went-out-of-business in the mid-80's. This particular "Sioux" model was a one-off prototype. According to legend, this guitar was manufactured in early 1968 for a Very High Profile British Guitarist for his personal "Rock and Roll Circus" guitar arsenal. This One-Of-A-Kind "Sioux" is loaded with 5 very powerful vintage single coil pickups that growl. 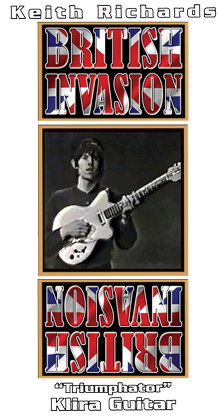 It's simply one very hot sounding guitar... and comes equipped with a Tonal "METAMORPHOSIS" of sound... something that still hasn't been duplicated today. 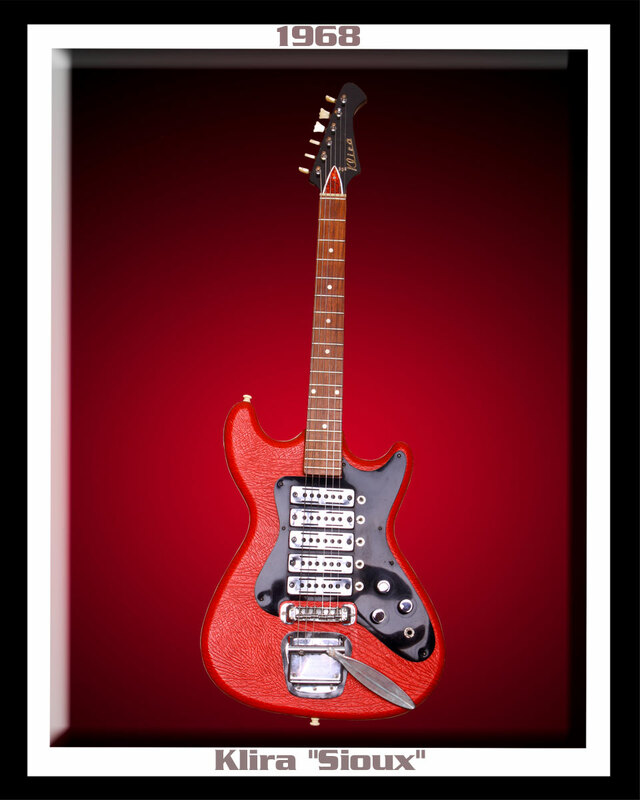 This great West German made, solid body guitar is very lightweight and comes equipped with a unique red vinyl body skin with a custom layered white beaded edge. 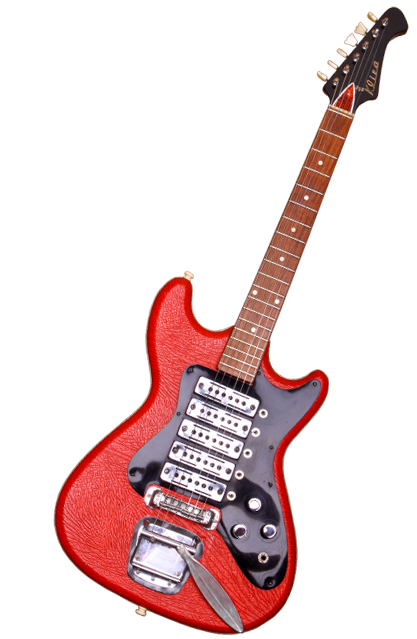 The body style is thin and looks very similar to other guitars of that day such as Burns, Hagstrom, Hofner and Framus. The wild custom vibrato arm cradles your hand. This unique vibrato arm was factory-installed from specifications given by the musician who originally purchased this little Beast Of Burden. The fretboard was made out of very rare Madagascar Rosewood and a double cut-away body with different size horns. This horn/body design was heavily influenced by the Fender Stratocaster, which was in demand in Europe during this period. The distinctive Klira headstock is topped-off by classic Kings Crown tuners. There is only one thing left to say! This is a very hot guitar, it's like "Playing With Fire" and it will leave you "Musically STONED".